Are you searching for roofing in South Padre Island, TX that is affordable and dependable? ECO Commercial Roofing can help you with all of your roofing service requirements, so shoot us a call at (833) 200-0571. Customer service is a primary goal of ours, and we can provide you with nearly any kind of roof assistance you may need. Not only are we dependable South Padre Island roofers, we’re also participating members of our local communities. If you have any questions about the roofing process, or which roof solution will function best for your requirements, our expert contractors are glad to help! Anytime you’re looking for a smarter roofing experience, call the experts at ECO Commercial Roofing for assistance. In regards to services for your house or business, a reliable contractor is a vital asset. We ensure that all of our contractors are taught to the industry standards, and we only buy supplies from contractors we can trust, like Conklin. Because the kind of roof you install can alter the value of your building in years to come, we make sure to stock large selections of materials and styles for you to choose from. When picking, remember that while the style plays a significant role, that the extended benefits also need serious consideration. The kind of roofing you choose will ultimately depend on your budget, and the kind of building you are needing to protect. Luckily, our crew can give you plenty of options. We are glad to assist you with any and all of your roof requirements, from repairs to installations, and everything in between. If you require help with a commercial project, an industrial one, or a residential one, we can serve you! Our commercial roofing offerings are designed to cater to business owners who have low-sloped or flat roofing systems. Flat roofs need a particular degree of skill in order to ensure the longevity of your system, and enduring resistance to rain, protection from ponding. Industrial roofs, while similar to commercial roofs, typically need stronger materials, and highly skilled installation to ensure longevity. You can even count on us for cost-effective home roof services, meant to serve your home in a variety of styles. Roof restorations are our primary specialty, so we’re no strangers to roof coatings. In our expertise, utilizing top quality materials such as Conklin can truly mean the difference between the roof coating that lasts, and one that doesn’t. We are committed to providing our customers with the very greatest roofing in South Padre Island, TX, and we accomplish that with unbeatable craftsmanship, every time. If you are looking for additionalmore information about the perks of our Conklin roof coatings or our roof restoration techniques, give us a call now at (833) 200-0571! Roof restoration is an excellent way to repair the majority of the surface of your building’s roof, while also avoiding additional damage. Your building’s roof can go on for an additional decade with the assistance of any of our Conklin roof treatments. Save yourself time and cash by picking a quality roof restoration in place of a roof replacement. Our primary method of roof restoration depends on high quality Conklin roof coatings. Available in a variety of types and purposes, you can depend on our contractors to help you decide which option will work best for you. When picking a roof coating, we consider the original material of the roof, along with the kinds of damages that roof may be sensitive to. The majority of roof coatings can also stick directly over your existing roof! To find out if your roofing is eligible for our roof coating, contact us now at (833) 200-0571! Acrylic Roofing Fluctuating temperatures call for reliable roof coatings such as acrylic, which are quite flexible. Elastomeric Roofing Elastomeric roof coatings are available in a variety of types, and are an affordable way to protect your roof. We work with many types of commercial roofing options, such as flat roofs and low slope roofs. The smartest way to prevent leaks and punctures is to correctly install the roof in the first place, which our experts can assist you with. If you want your roofing solution to work efficiently, and last for a long time, our contractors are here to help. 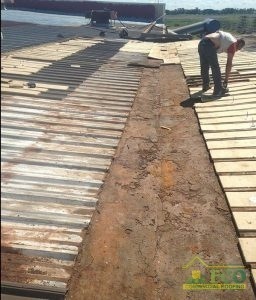 ECO Commercial Roofing is the company you can count on when you require resilient commercial or residential roof services. You can locate our professional services and quality roofing in South Padre Island, TX, as well as in the nearby cities. Every building can benefit from the installation of a high quality roofing investment. To find out how we can serve you best, give us a ring at (833) 200-0571 and set up your professional roof assessment now!